What better time of year is there than summertime to take advantage of nature’s bounty of fresh fruits? There’s nothing more inviting than walking into a room and seeing a bowl full of fresh fruit sitting in front of you. You just can’t help but pick one up and eat it. It really is nature’s candy! Recently I took a trip to my local Wegmans and my first vision as I entered the store was the produce guy stocking fresh plums of all varieties. I knew I could make a healthy, tasty dessert with this abundance of God’s creation. 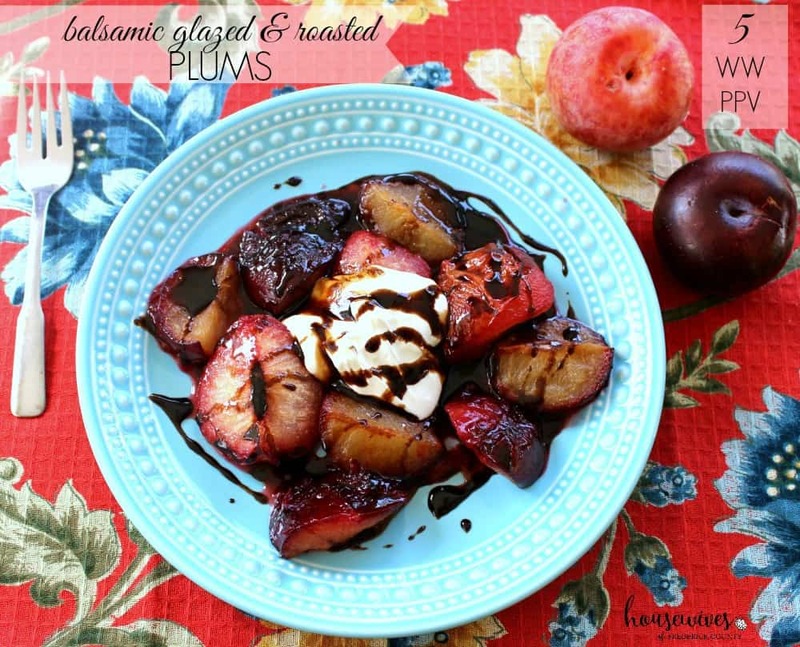 Cooking Light Magazine’s August 2016 issue had just what I was looking for: Balsamic Glazed and Roasted Plums. I calculated that, per serving, this recipe is only 5 Weight Watchers Points Plus Value. 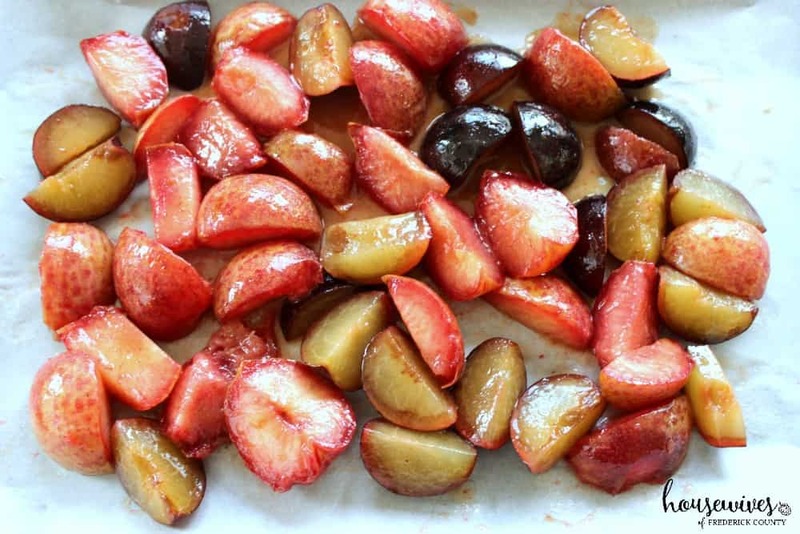 Combine plums, butter, and 1 1/2 tablespoons sugar in a bowl, toss well to coat. 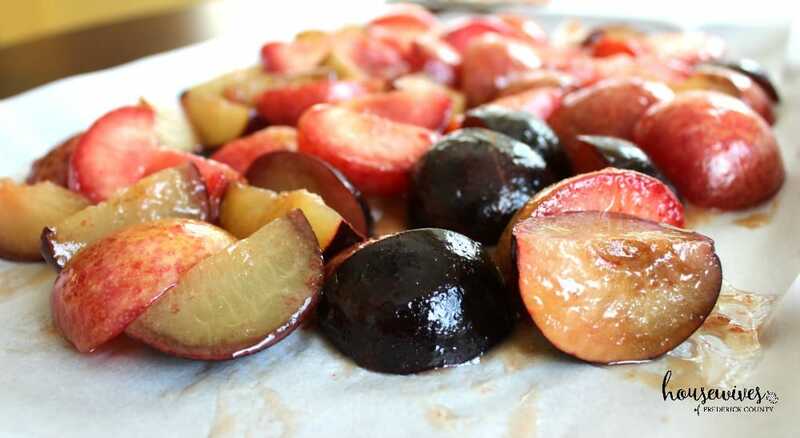 Arrange plum mixture on prepared pan; bake at 425 degrees F for 15 to 17 minutes or until plums begin to soften and release their juices. Remove pan from oven; cool slightly. 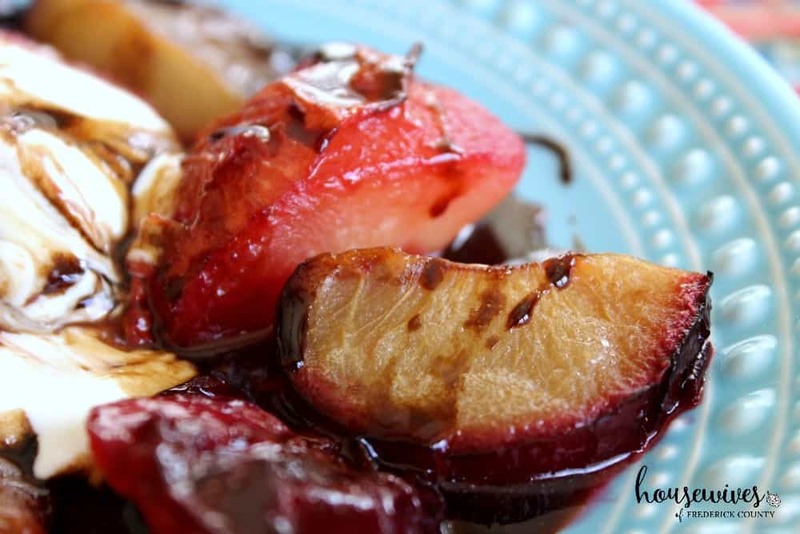 While plums roast, bring sherry to a simmer in a small saucepan over medium heat. Simmer 8 minutes or until reduced to about 2 tablespoons. Add vinegar to pan; cook 12 minutes or until mixture is reduced to about 1/4 cup, stirring occasionally. Stir in remaining 1 1/2 tablespoons sugar and vanilla. Cool 5 minutes or until slightly thickened. 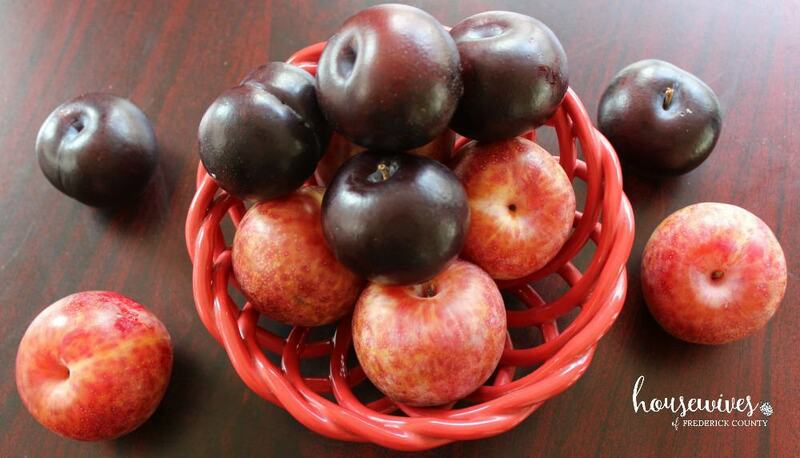 Place about 1/2 cup plums in each of 6 shallow bowls. Top each serving with 1 tablespoon creme fraiche (or sour cream) and 2 teaspoons vinegar mixture. A note of caution: Wait until the plums have cooled slightly before adding the dollop of creme fraiche. If you don’t, the creme fraiche will melt into the plums and not provide as nice a presentation. The plums were roasted and hot but still firm. 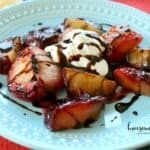 The balsamic glaze almost had a molasses taste and was very thick and sweet. The creme fraiche added just the right amount of creaminess to the dish to make the combination c’est magnifique! I highly recommend that you serve this dish immediately as it loses it’s freshness once cooled. 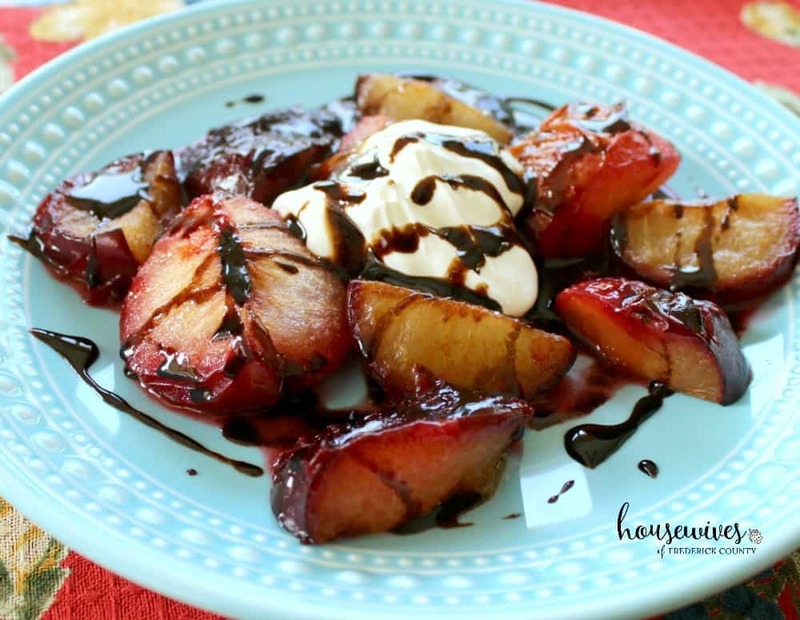 What are your favorite recipes using plums? Oh my gosh Pam, the pictures of the plums,. etc. are beautiful and they look so decadent!!! 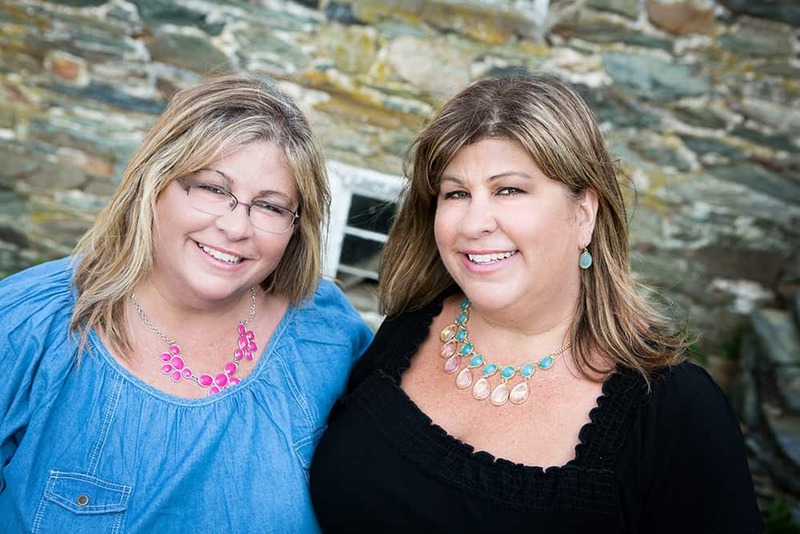 Thank you Cheryl! It was really decadent!